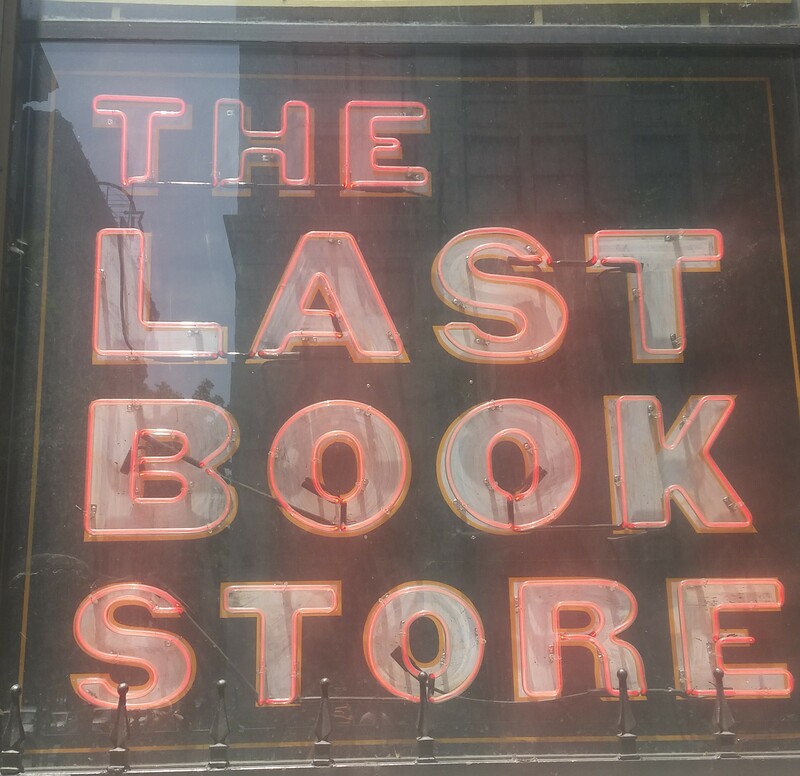 the last bookstore | loveliness. On our way from Phoenix to San Francisco last weekend there were 3 things I wanted to do. One of them was to stop in at The Last Bookstore in L.A. I read about it a couple of years ago, and had been wanting to go, but the last few times I was there I ran out of time. This time I was looking for any excuse to break up the interminable dross of 11 hours in the car, and it was just what I needed. The Last Bookstore is in downtown L.A. As soon as I walked through the door, I was struck by what a cool place it was. It’s very big and open with rows of book shelves (obviously), and a big art installation made from paperbacks along one wall. The back right corner is dedicated to old records, and the entire upstairs section is more books, and art displays from local artists. There is a little stage/nook area where people were cuddled up reading in big comfy chairs.They often do author readings at the store. There were so many books I wanted to get, I could have spent hours in there, but unfortunately I only had a few minutes. I ended up picking Before I Die, a closer look and compilation of all the Before I Die projects walls, all over the world. I’d heard of the project a few years ago and had been wanting to check it out. It was between that, Letters of Note, a book based on a blog I’ve followed for ages, and an amazing looking veggie cookbook, but Before I Die won out in the end. 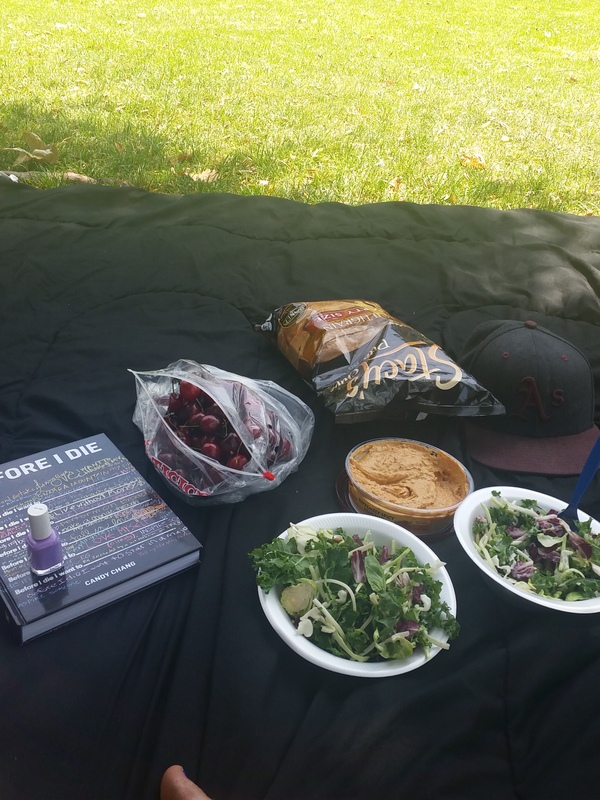 We ended up stopping at Griffith park for a picnic afterwards so I got to spend a couple of hours lounging in the sun reading, before we headed to the Hollywood Forever Cemetery to watch Vertigo. It was a perfect few hours in L.A.